I'm glad you guys and gals got your own forum. Hard for me to get the word out while competing with all the other threads. Does your shifter feel like a limp noodle when in the gate/reverse? If it doesn't now, it probably will. I have a spring kit that I adapted from my Gated Shifter Kit that will fix that problem. $20.00 shipped to lower 48, Plus tax in Texas. 10 minute install, your shifter will have a firm positive feel. If you're interested send me an email address and I will email you an invoice via paypal. Ships asap after payment. Thanks Viking, I'm happy that you're happy! Another happy customer as well!! Carl, can you be a little more specific of the benefit. Not sure what is meant by limp noodle? To install, remove your knob cap, knob, spacer, and boot. Remove the front left bolt/washer from the aluminum gate. Place the bushing into the hole on the spring and compress the spring “legs” with a small plastic wire tie. 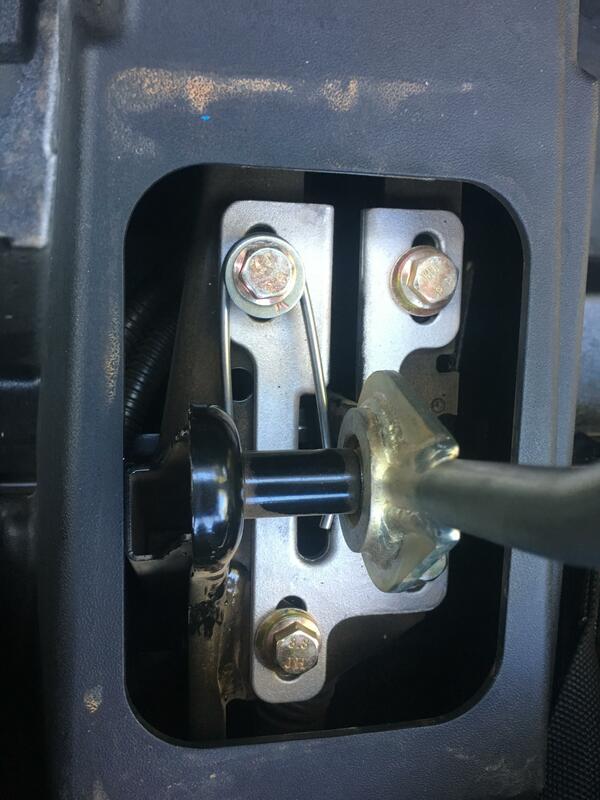 Slide the spring/bushing between the shifter and the pivot bracket, with the 90* leg on the left (drivers) side, thread the bolt/washer into the vacated hole. Tighten snuggly, cut and remove the wire tie. Re-assemble your boot, spacer, knob, new knob cap. Enjoy! If you have any problems, please let me know. Just installed this kit. Definitely firms up the feel of the shifter. Thanks!